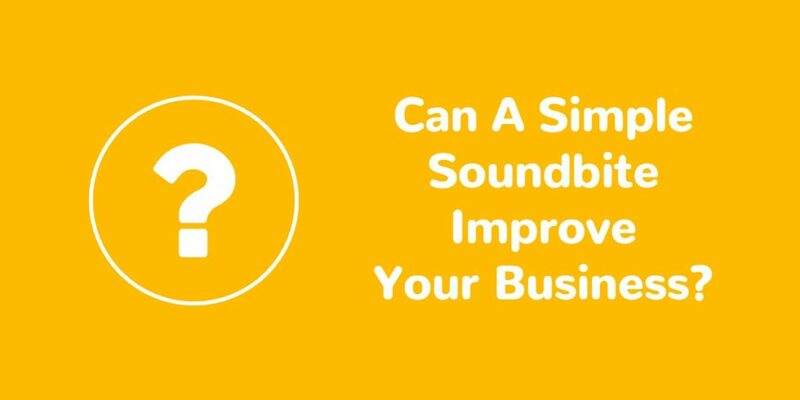 Can a simple soundbite improve your business? Can a simple soundbite improve your business? Can a simple soundbite improve your business? I LOOVE clarifying questions. They are like quotes, which I also love. They have a universality to them that is just so useful and elegant. The other day I was listening to one of my favorite podcasts, The Tim Ferriss Show, and he was talking about creativity and innovation and how to apply it. Because I never had the soundbite! I LOVE this one. In the last few days, I find myself asking it out loud all the time. Yesterday, I was filling the water troughs at the barn. I’d have a spigot out by the troughs instead of hauling the hose back and forth across the barnyard! This morning someone wanted to change their email address in Sync2CRM. But it doesn’t change it automatically in our billing system or CRM. Someone has to change it manually in three different places. We’d have a webhook fire when someone changes their email so we could have Zapier change it everywhere. Where have you/can you apply this in your business? Hint: The answer is everywhere. Ask it all the time about everything. And also, what other similar questions/soundbites do you rely on as reminders or clarifiers. Please share. I’ll post this over in the Facebook Ad Questions group so everyone can benefit. One of those quotes I love and use often is “We can’t see our own eyes because we see with them.” Often we are too close to our own businesses to see the obvious. That is why we need to employ an outside set of eyes … whether it be a mentor, coach or consultant. If you could benefit from having me work with you on you your business, check out my Services page and then let’s get on a call to see if we’d be a good fit to work together.